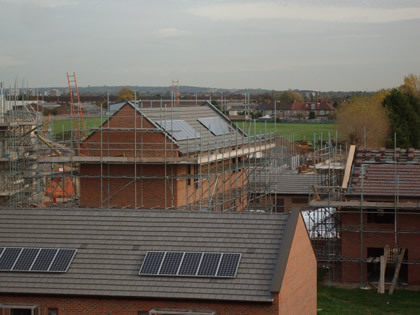 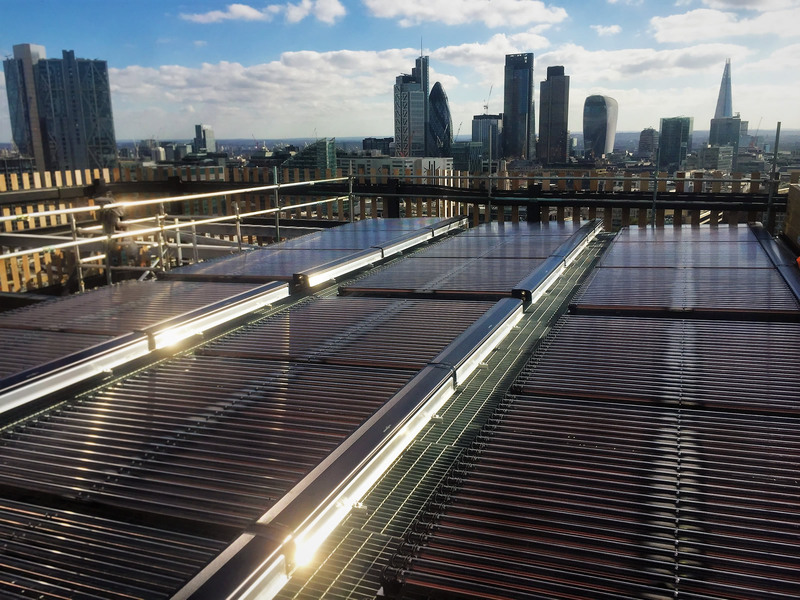 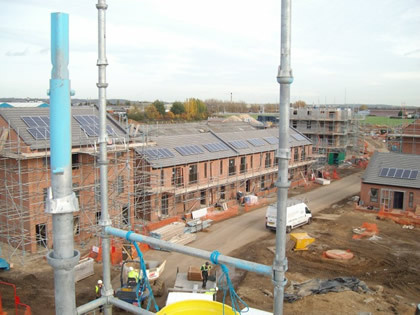 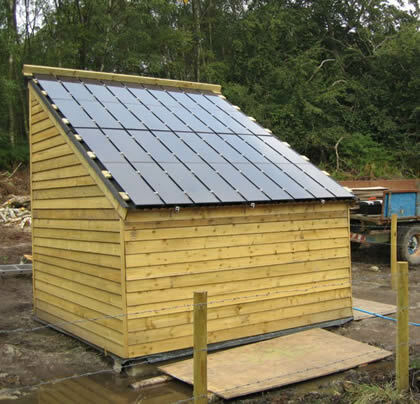 Solaruk overcame uneven ground conditions using state of the art 3d modelling software and trained professionals to provide a framework solution solar uk is a green company , with that in mind we managed to engineer the framework without any concrete involved in the arrays construction. 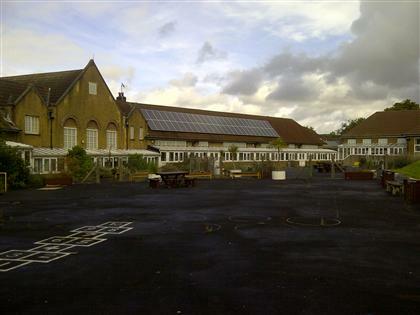 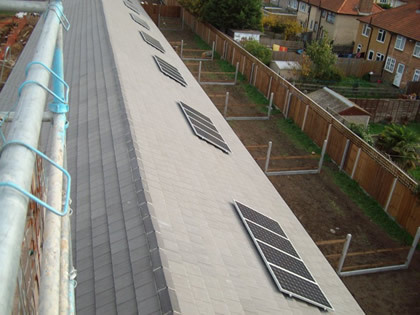 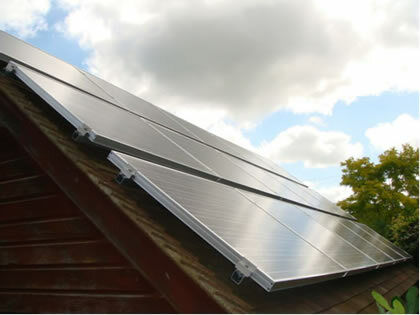 We have installed a wide range of larger roof mounted solar PV systems. 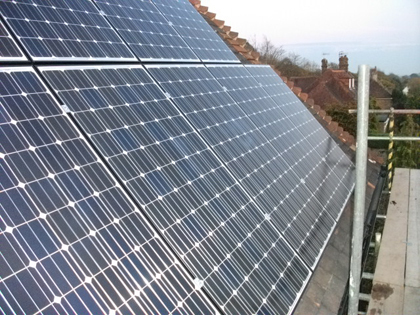 Domestic PV system installed on a roof in Battle East Sussex qualifying for the higher rate Feed In tariff for the next 25 years. 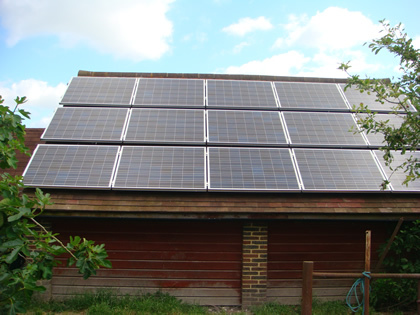 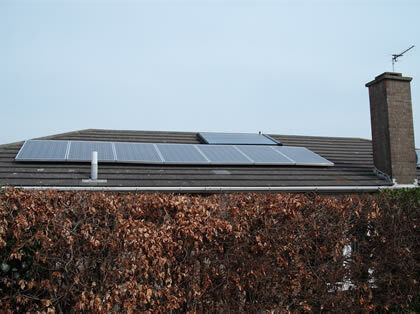 Image showing a recent domestic solar system completed by SolarUK installers in east sussex. 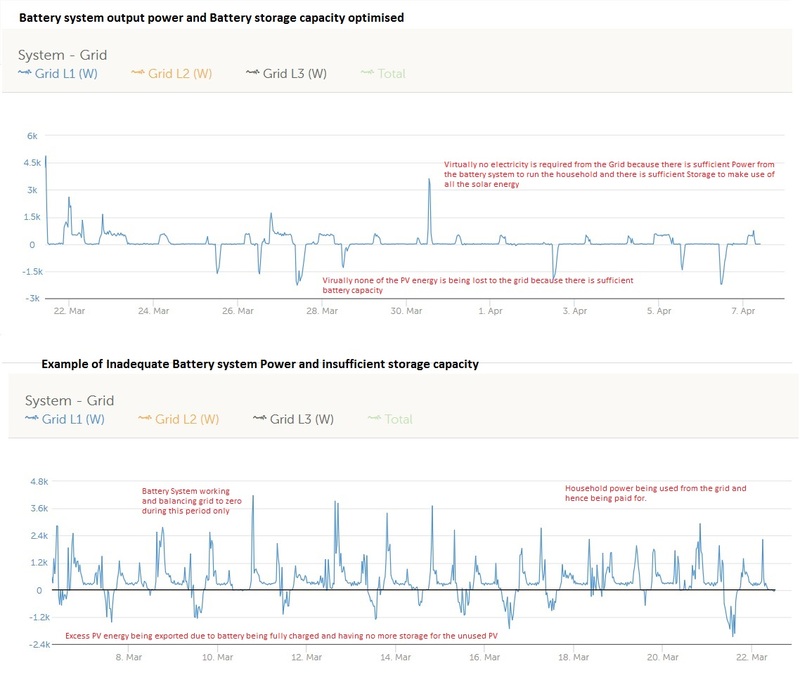 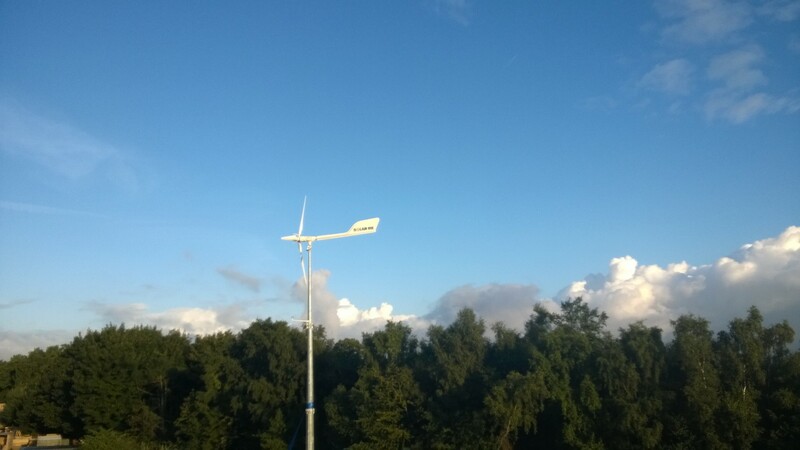 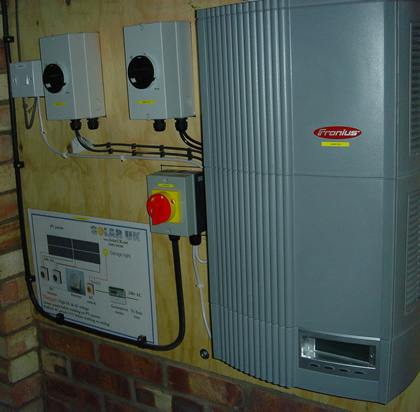 Solar PV installed to run remote electrical systems where installing a mains connection would be both expensive and inconvenient. 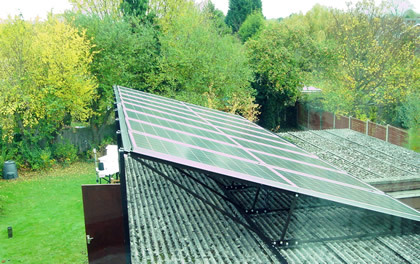 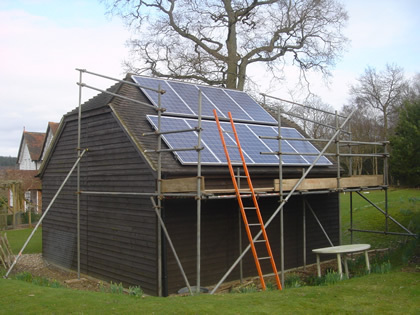 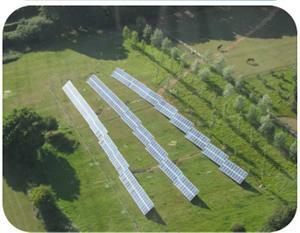 SolarUK installers can provide off grid PV systems for a multitude of tasks. 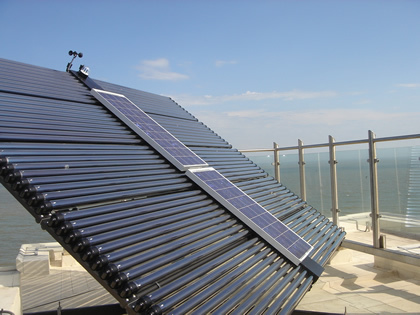 Domestic solar photovoltaic PV system with vacuum tubes for water heating.